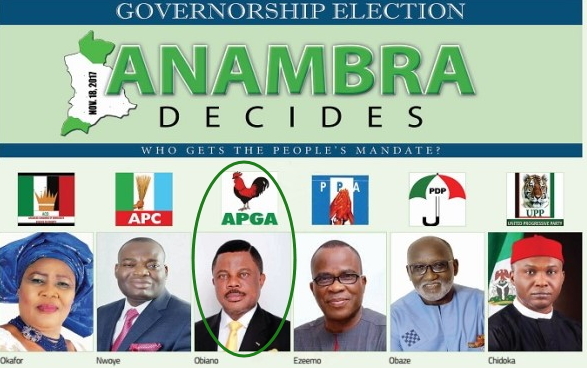 The unofficial results released last last night has declared the incumbent Governor of Anambra state Willie Obiano of the All Progressives Grand Alliance party as the winner of the just concluded election. According to The Nation, APC candidate Tony Nwoye, is also reported to be doing well, while PDP candidate Oseloka Obaze expressed confidence that he would win. Umuono Hall 2, Nise Ward 2, Awka-South LGA. The election was marred by low voters turn out due to IPOB threat and heavy military presence. MILITARY AND IPOB THREATS WILL BRING IN LOW VOTING NUMBERS BUT INCUMBENT GOV WILL SURELY CRUISE TO VICTORY.LEGAL TUSSLE WILL SET IN AFTER.